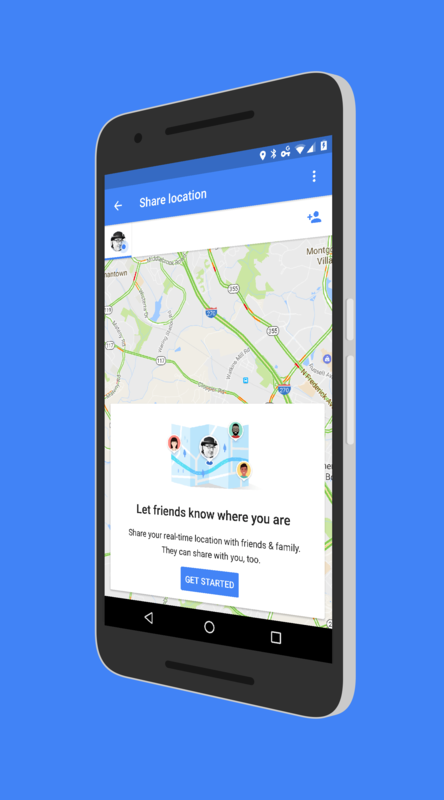 After being announced last week followed by a limited roll out, the new location sharing feature of Google Maps has rolled out to the masses. Users can expect the feature to be enabled in the Google Maps app shortly if it isn’t there already. You will find the new feature located on the menu of the app. The feature works cross platform (and on the web) and allows you to share your location or your status on a journey with others that you choose. That sharing can be limited to a specific time period for sharing while the sharing of your journey will automatically end when you arrive at your destination. It is more-or-less a return of the old Latitudes product but is more refined. your location within the community app went away this week with a splash screen pointing users to Google Maps to share their location. This, along with an update to Maps a couple of weeks ago paved the way for the general release today. So long as you have the latest build of the app on your phone, you will see the new sharing feature in the menu. Sharing can be done through various apps like Hangouts and Messages but you can also email or use another app to share a link which users can click to open up Google Maps in a browser. Finally! I’m a Google Maps Beta Tester and a Level 5 Local Guide and I ‘finally’ got to play with this today. That said, I am partial to the old ways of Latitude & G+ Locations do this is gonna take some getting used too. So far Wifey prefers the old ways (we being an Android Only family) I can appreciate the integration with other operating systems. myself I like the convenience clicking on the Google Maps app on my Chromebook and then clicking on my contacts location information. there seems to be a slight law between when a PC or laptop is updated versus when a mobile phone is updated so time will tell… Growing Pains. OohRah!